Production of the Maserati Ghibli, shown, is being reduced. TURIN -- Fiat Chrysler Automobiles is cutting Maserati production as demand for the brand's luxury sports cars slows after record sales last year, according to a union at the automaker. The number of shifts at FCA's Grugliasco plant near Turin has been reduced to 10 a week from 12, a union official said. 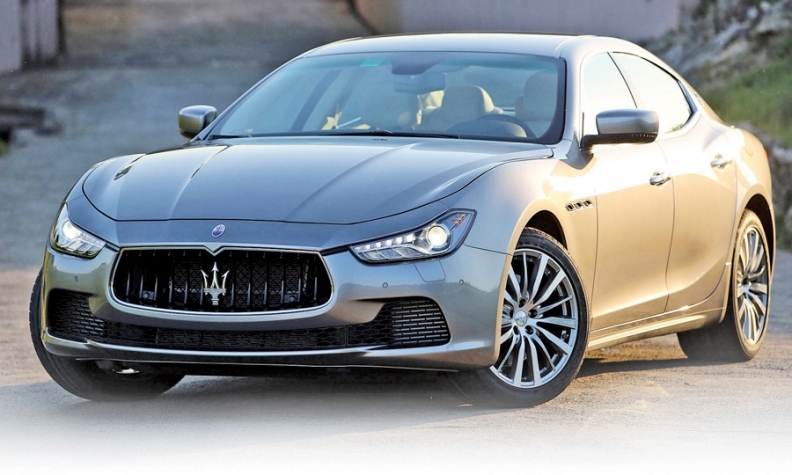 The plant builds the Maserati Ghibli and Quattroporte, which are the brand's best-sellers. "Fiat has told us that workers at the Grugliasco plant will be working for three weeks out of four up until July," said Federico Bellono, CGIL union leader in Turin. "The company is predicting production of about 30,000 to 35,000 cars at Grugliasco this year. I think it will be closer to 30,000," Bellono told Automotive News Europe. The plant employs about 2,800 workers. FCA declined to comment on any changes in production. Maserati's global sales were up 137 percent to 36,448 last year, with the Ghibli accounting for 23,500 deliveries, followed by the Quattroporte with a volume of 9,500, according to a Jan. 12 press release. The brand sold 3,500 units of the GranTurismo and GranCabrio models. The U.S. was Maserati's biggest market last year with sales up 172 percent to 12,943, according to the Automotive News Data Center. FCA CEO Sergio Marchionne said at the Geneva auto show earlier this month that he expected a reduction in Maserati's sales volume. "We knew we could not keep on growing sales of the Ghibli and Quattroporte. They have to slow down and settle and that is what is happening," Marchionne said. Maserati plans to increase its lineup to six cars from four now by 2018, when it also aims to reach annual sales of 75,000. Maserati will not have a new model in showrooms until it launches the Levante SUV early next year. The Levante will be built at Fiat’s Mirafiori plant. Maserati was a strong performer for FCA last year. The luxury brand reported revenue of 2.8 billion euros, up from 1.7 billion in 2013, boosted by higher unit sales. Earnings before interest and taxes increased to 275 million euros from 106 million euros. FCA predicted demand for Maserati cars would be flat this year when it released its 2014 results last month.